2018 Durango Derailers team photo. It’s easy to forget how secluded Southwest Colorado is. For parents and those expecting, this isolation creates a hurdle that makes receiving urgent healthcare for newborns and children both difficult and costly. The Durango Derailers, a local cycling team, ride every year to raise money and improve access to immediate healthcare for families dealing with travel expenses and medical costs. 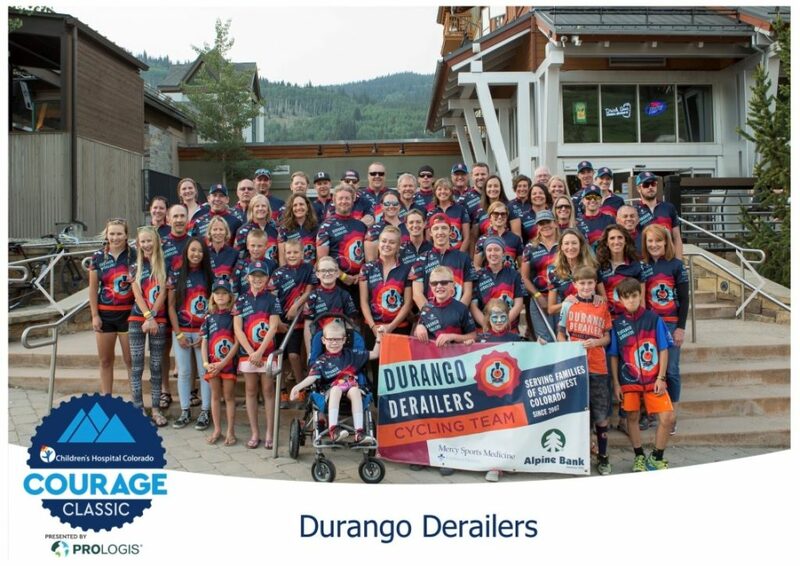 The Durango Derailers was founded in 2008 by Dr. Kelly Miller, a pediatrician in Durango, CO who trained at Children’s Hospital Colorado (CHCO) in Denver, CO. Miller’s daughter, Hannah, was born with a life-threatening heart condition and flown to CHCO. During this time, Miller learned about the Courage Classic, a cycling event that raises money for CHCO. 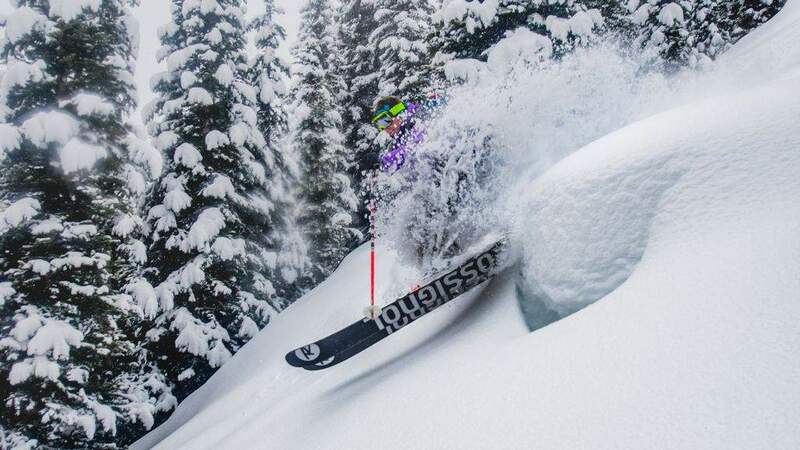 After a couple of years of participating in the ride that starts and finishes at Copper Mountain, Miller realized there was a way that she could bring the cause to Southwest Colorado. What started out as Team Hannah, which included 10-12 of Miller’s family members and friends, has become the Durango Derailers — a group of 80 or more riders dedicated to raising money for the cause. “I wanted to find a way to give back to the hospital, both for making me the pediatrician that I am and saving my daughter’s life and continuing to follow her as she grows and has more heart needs,” says Miller. Chase Shelton rides with mother and captain of the Durango Derailers, Laura Shelton, in the Courage Classic at Copper Mountain. Photo courtesy of Life Up High Photography. 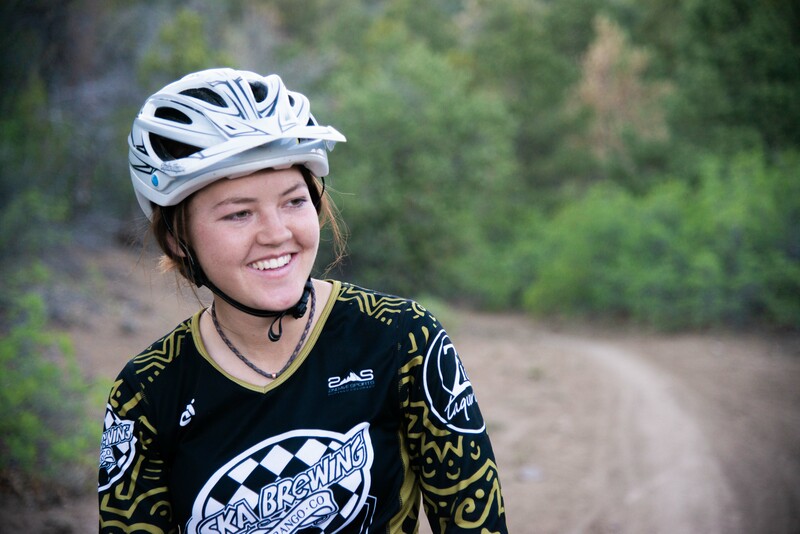 In 2016, Laura Shelton took over as team captain of the Durango Derailers. This allowed Miller to focus on a new telemedicine program in Southwest Colorado. Through telemedicine, the need for families to drive to Denver for medical assistance has decreased significantly. The creation of the telemedicine program is based on the foundation of the Durango Derailers and their fundraising efforts and helps families that extend further than Durango. Since taking on her role as team captain, Shelton has ridden in the Courage Classic for the last six years, and is working to improve fundraising efforts as well as increase awareness of the Derailers’ mission. “We always fight to be in the Top 10 (for fundraising),” says Shelton. Shelton’s son, Chase, was born two months premature and continues to receive care at CHCO. 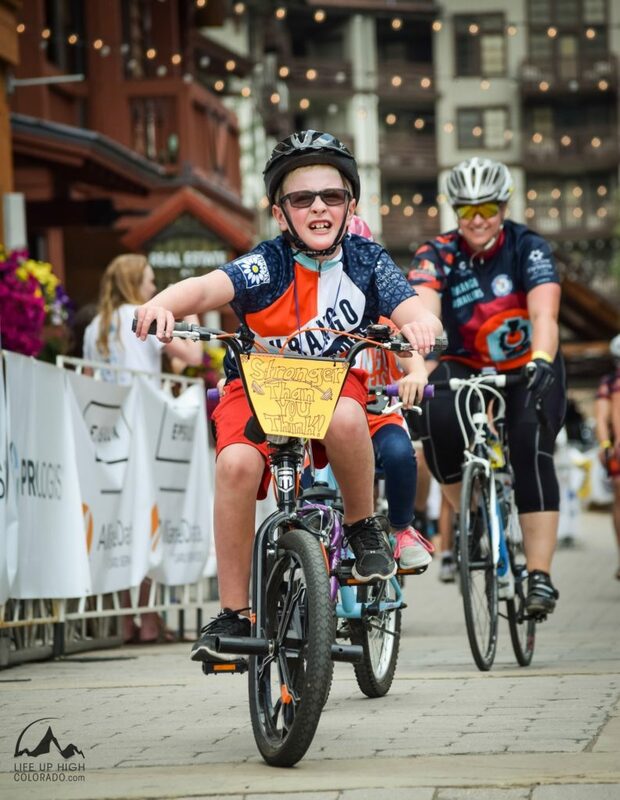 Chase, who is now eight, has difficulty riding a bike due to medical issues that stem from his premature birth; but in 2017, he was determined to bring the Derailers through the finish line at the Courage Classic without the use of training wheels. His determination paid off, and he led the way with a yellow sign on the front of his bike that brandished his motto: “Stronger than you think.” Chase has now ridden in the Courage Classic for the past three years. Community awareness is a big part of what the Derailers are currently working on. “The more people that we can get in the community that know about it, the better,” says Dan Bittle, a rider and member of the steering committee for the Durango Derailers. Bittle became involved with the Derailers after the organization helped with the medical expenses for his daughter, Ada, who was also born premature and required a flight for life to Denver. The Durango Derailers started out with just the Courage Classic, which continues to be the biggest event of the year for the team. 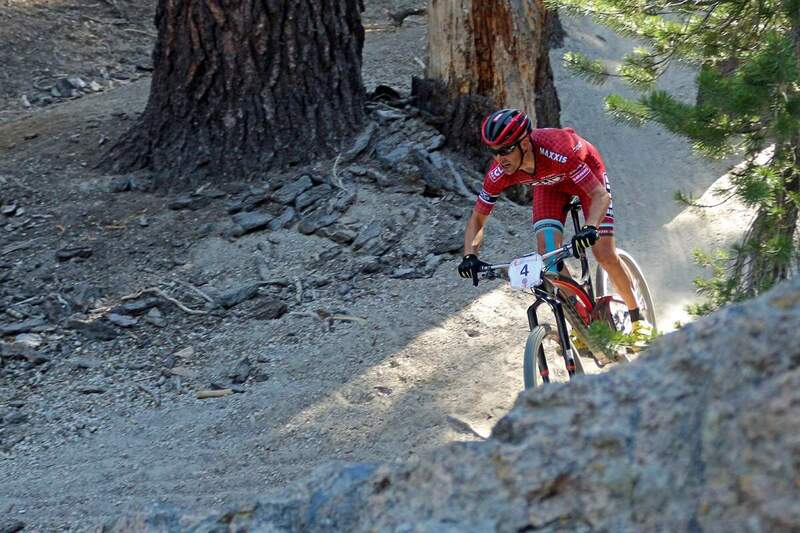 But in recent years, two other events have been included to improve fundraising efforts: Dancing With the Durango Stars and the Iron Horse Bicycle Classic. The event is similar to the popular TV show, “Dancing With the Stars,” and uses local, well-known community figures that are paired up with one other person to compete for best dance routine. During the event, spectators can help override the judges’ scores by putting money towards the vote of their favorite couple. The event has been running for three years now, with the last two years selling out. Dancing with the Durango Stars is Saturday, May 4 at the Henry Strater Theatre. 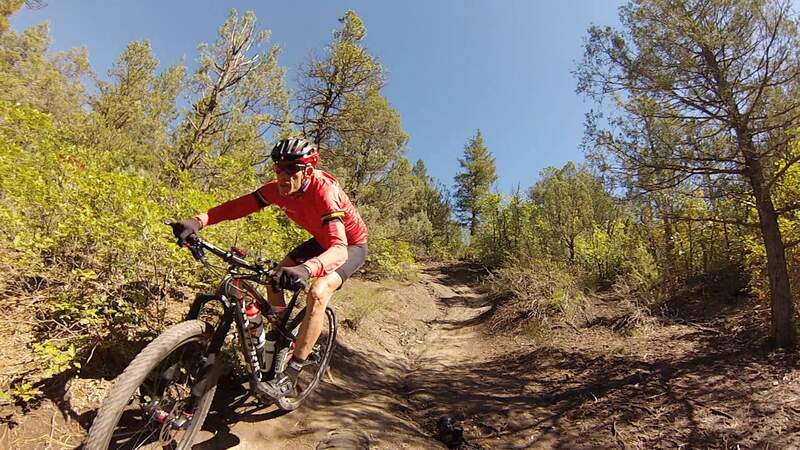 A popular Durango event held annually during Memorial Day weekend, this will be the first year that the Durango Derailers participate in the race from Durango to Silverton. Former professional cyclist and mountain biker Todd Wells is a big key in the Derailers’ involvement in the Iron Horse. Wells, who also works for the Iron Horse Bicycle Classic, joined the Derailers’ team last year. Although Wells will not be riding on the Durango Derailers team during the Iron Horse, he plans to ride in the Courage Classic. The Courage Classic is not a race, but that does not discredit the challenges that lie ahead for riders. The two-day tour that falls on July 20-21, 2019 offers several routes that differ in distance and difficulty each day. 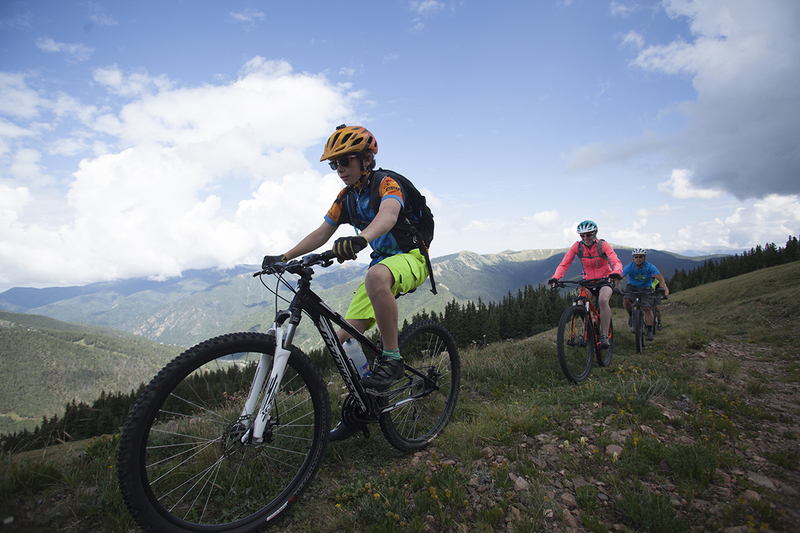 For Day 1, riders can choose the 78-mile Copper Loop, 40-mile Vail Pass or 10-mile Family Ride. Day 2 options include the 84-mile Ute Pass, 41-mile Keystone or 23-mile Family Ride. The Courage Classic is an eclectic mix of cyclists, families and children. And while many are there to ride, it is obvious that every person attending is there to show their support for CHCO, whether or not they have personally benefited from the hospital. “The Iron Horse for many is getting to the finish line, but the Courage Classic is more about the journey,” explains Miller. Cyclist or not, there are many opportunities to help the Durango Derailers and their mission. “Our mission is to help families in the Southwest, and to get the word out that anyone can join the team,” says Bittle. The best way to support the Derailers is to ride and fundraise as a rider on the team. Riders are required to raise a minimum of $300 for the Iron Horse and $500 for the Courage Classic. Riders that raise more than the minimum are then entered in a raffle for other prizes, with those that raise more than $1,000 receiving a team jacket. You can also join the Durango Derailers as a non-rider, which includes supporting the team and helping out with fundraising efforts. Ultimately, the Derailers must meet a $50,000 minimum in their fundraising efforts in order to guarantee that the money raised stays in the Four Corners community. To donate to the Durango Derailers, you can visit their Team Page. “It’s really become a place where families reunite,” says Shelton of the Courage Classic. While the Derailers continue to meet their fundraising goals, their success is only possible with help from the community. The money fundraised has helped families with gas cards, hotel stays and medical expenses. But more importantly, it has created a strong relationship with Children’s Hospital Colorado in Southwest Colorado. The Durango Derailers have plenty of miles ahead of them, but it’s the cause they stand for that will push them through the finish line.